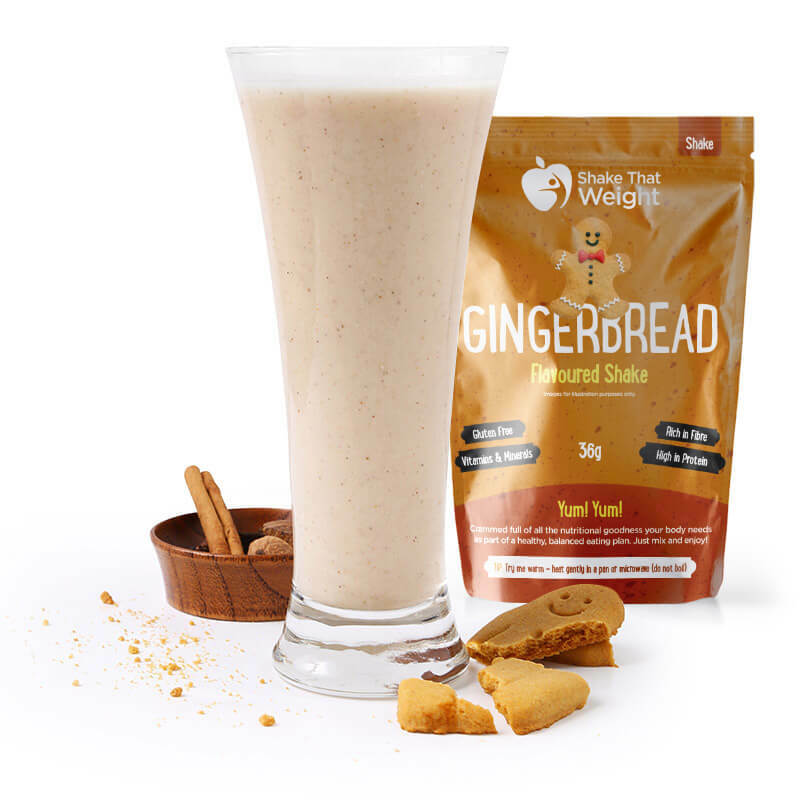 A childhood favourite, spicy sweet and creamy gingerbread shake. Allergens: Milk, Soy. Manufactured on equipment that processes: Celery, Egg, Gluten, Mustard, Sulfites. 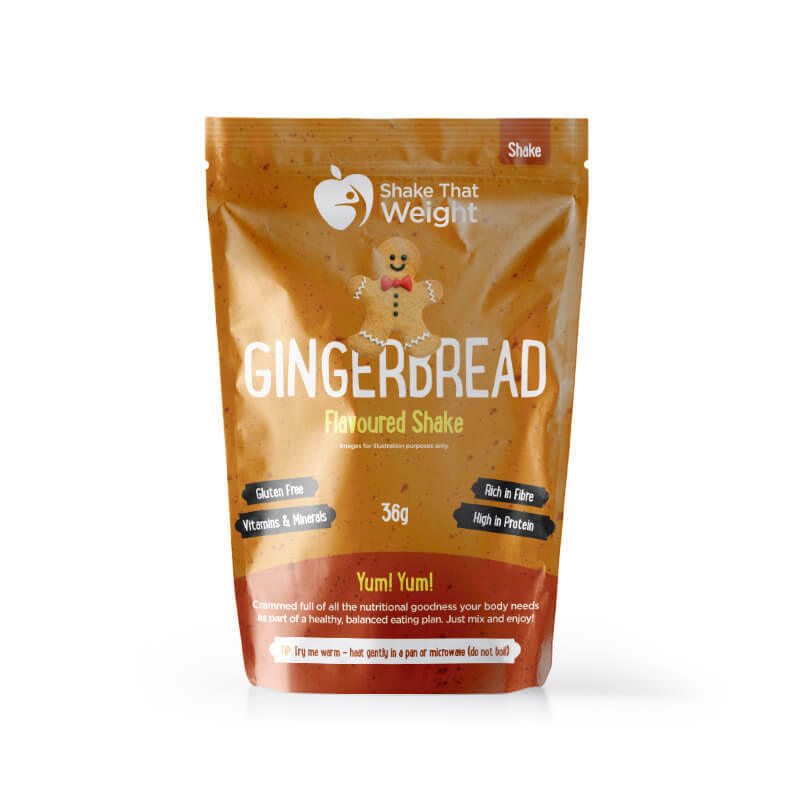 Our flavours are specifically made for our manufacturers who use products from 5 leading companies in their mix. 5-6 flavour mixes are used in the products to provide them with a good smell, first taste, middle taste and after taste. Unlike other available products they have a smooth creamy (not gritty) texture. Calcium casein whey protein isolate with all essential amino acids. It is not heated like our competitors, who lose a lot of the nutritional value of the product. Our products all have perfect trace-ability on the all ingredients. Ensuring quality ingredients and safety. Ensures the cows are bred and fed within high European quality standards. We take solubility seriously, no more clumpy mouthfuls with powder residue that you get from inferior products. 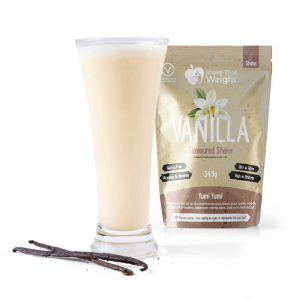 We pride ourselves on high quality product ingredients that not only taste great but mix beautifully creamy every time. Now sit back, relax, slurp and enjoy! 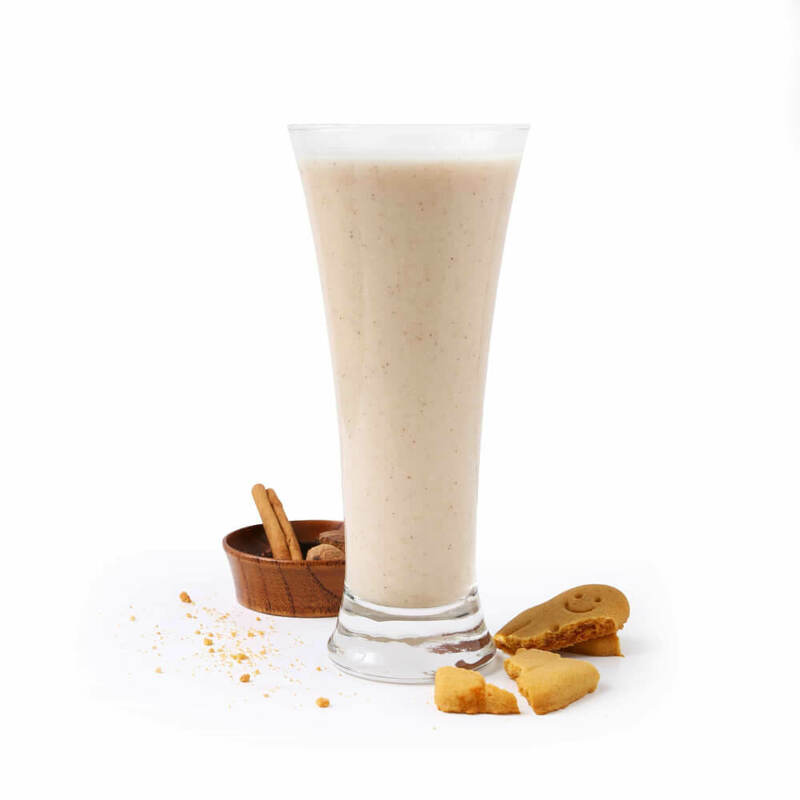 Ice Cold – Blend the shake with a tray of ice cubes. If you don’t have a blender, simply try chilling the shake in the fridge or adding a few ice cubes. 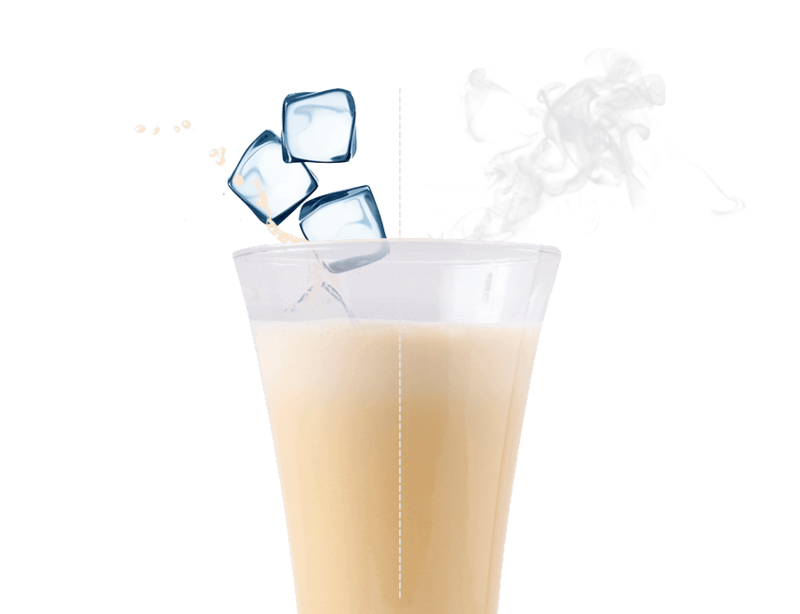 Proteins blend (milk protein, soy protein) ; skim milk powder ; fructose ; vegetable fat preparation (refined soybean oil ; glucose syrup ; skim milk powder ; refined coconut oil ; milk protein ; stabilizers: pentasodium triphosphate, potassium phosphate ; anticaking agent : silicon dioxide ; flavor) ; oligofructose (chicory root extract) ; spices (cinnamon, ginger, anise, nutmeg, cloves) ; acididy correcting agents : potassium chloride, sodium citrate dihydrate, magnesium oxide ; vitamin and mineral mix (vitamin A acetate, cholecalciferol, tocopherol acetate, ascorbic acid, thiamin hydrochloride, riboflavin, nicotinamide, calcium pantothenate, pyridoxine hydrochloride, biotin, folic acid, cynocobalamin, ferric pyrophosphate, zinc oxide, potassium iodide, sodium selenite, potassium citrate, manganese sulfate, copper gluconate) ; flavors (milk) ; emulsifier : soy lecithin ; thickeners : carrageenan gum, guar gum ; stabilizer : magnesium phosphate ; color : caramel ; anticaking agent : silicon dioxide ; sweeteners : sucralose, potassium acesulfame. 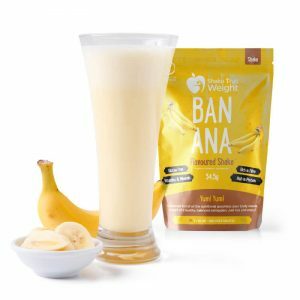 The key to the success of Shake That Weight products is that they are fortified with 25% of your RDA of vitamins and minerals in each product. Due to the nature of food these values vary by product and you can see the breakdowns below. 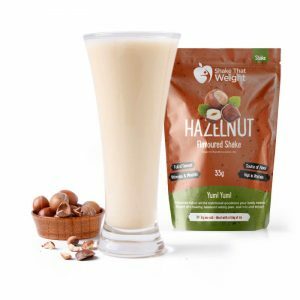 Gorgeously smooth and nutty Hazelnut flavour shake that will fill you up. Allergens: Gluten, Milk, Soy, Sulfites. Manufactured on equipment that processes: Celery, Egg, Mustard. Need to satisfy that sweet tooth of yours? 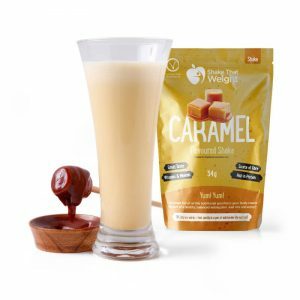 Our delicious Caramel Delight can help. What’s your vibe? If it’s mouth-watering shakes that taste amazing, here you go! Allergens: Milk, Soy. Manufactured on equipment that processes: Celery, Egg, Mustard, Sulfites. Enjoy a cup of coffee? 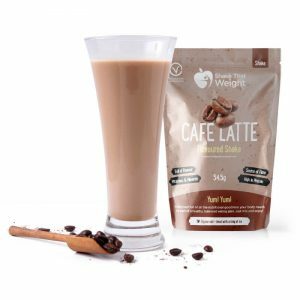 You need our smooth and creamy Lively Latte shake. 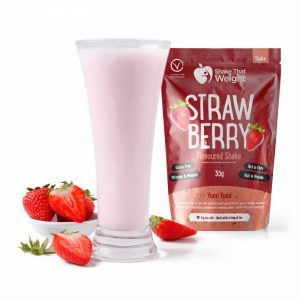 Simply delicious, our popular strawberry diet shakes are creamy and delicious. Available next day* with DPD and Royal Mail. Alongside the door to door service, we offer pick up from shop and 1 hour delivery time-slot. We can deliver around the world from 2 days with a Free delivery available on all destinations. Click the button below to find your destination.